With an improved design and advanced capability, this dual PAGE unit includes many convenient features. 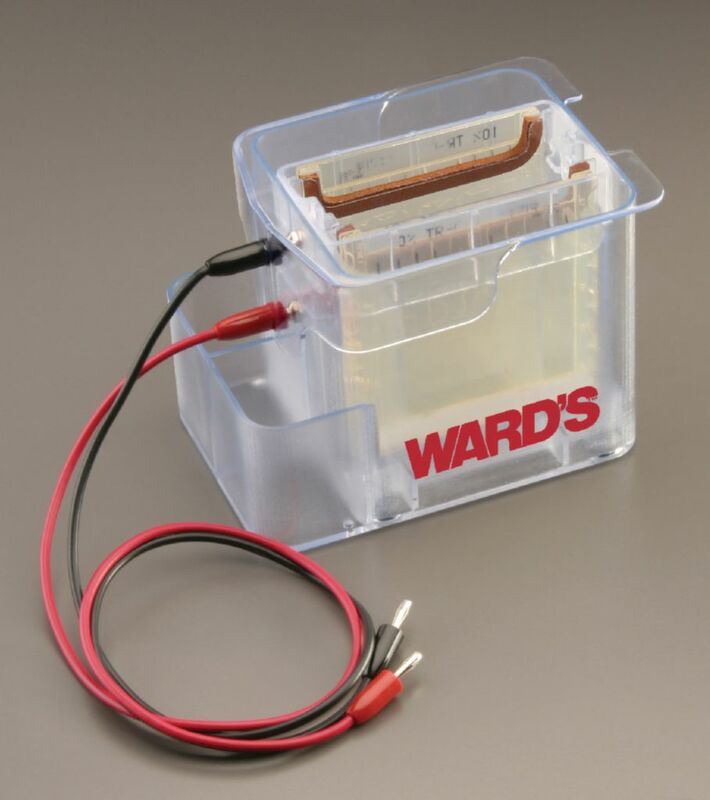 The stackable unit’s cord stores inside of it when not in use, and its small footprint saves valuable bench space in the laboratory. An easy to use gel clip and built-in rubber gaskets ensure a complete and even seal of the gels against the inner buffer chamber every time. The lid and chamber are also color coded to ensure proper orientation of the lid and electrical leads. Designed to minimal buffer usage, 250 ml, the tank is also adjustable to your specific needs. Quality construction and durable materials ensure many years of classroom and lab use. Includes one PAGE chamber, lid, gel plate, and gel clip.